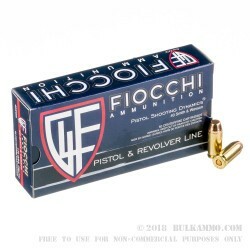 Fiocchi Shooting Dynamics is accurate, clean, high-end range ammunition without the high-end price. 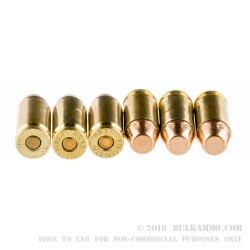 This .40 S&W load fires a 170 grain full metal jacket bullet at a muzzle velocity of 1050 feet per second, comparable to the velocity achieved by 165 grain loads. 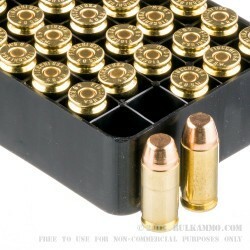 Each box holds 50 rounds in reloadable brass cases. 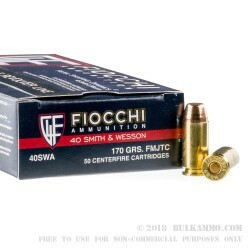 Like most of Fiocchi’s products sold in the US, this ammo comes from the company’s plant in Ozark, Missouri. A longtime player in the European ammunition market, Fiocchi Munizioni operates under the ownership of the Fiocchi family in Lecco, Italy. Founded in the 1870s, the company entered the US market in the 1980s and quickly established such a strong market presence that it established an American ammo factory to produce product closer to its customers. All of Fiocchi America’s shotshells and the vast majority of its centerfire ammunition come from this factory, while rimfire ammo is imported from the company’s historic facility in Italy. Fiocchi also makes components and ammunition for European customers including NATO military forces.